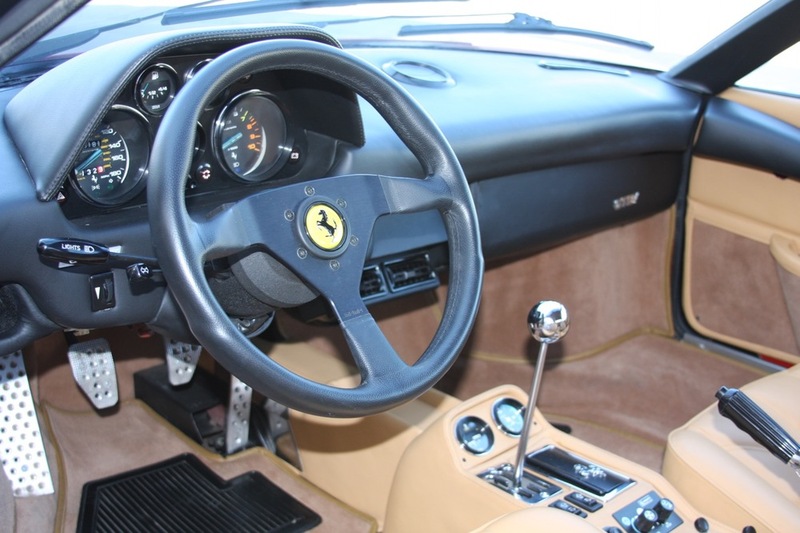 We provide interesting cars to the auto enthusiast, specializing in Ferrari models from the 1970s, 1980s, and 1990s. 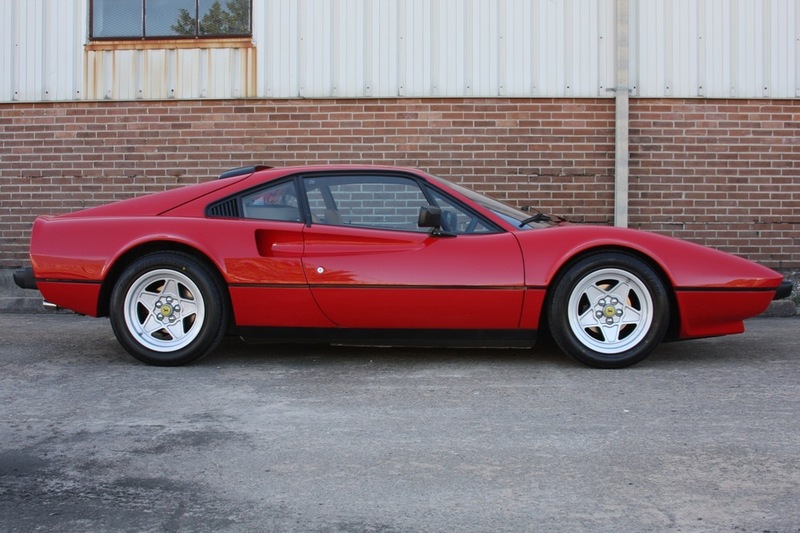 The Ferrari 308 is a undoubtedly a modern classic. Introduced in the mid-1970s, and continuing on through the 1980s, the undeniably beautiful lines of the 308 defined what a Ferrari was for a generation, and arguably still does today. 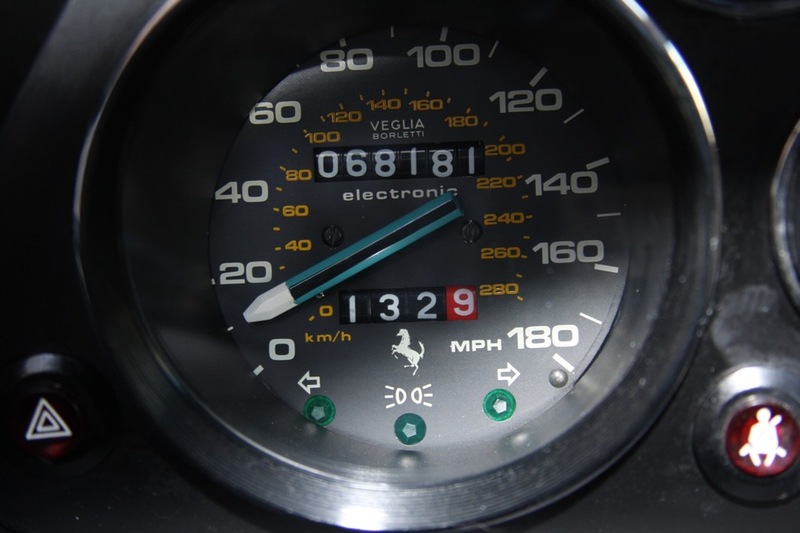 And, the mid-engine V8 configuration of the 308, first introduced in the 308 GT4, lives on even today in the newest Ferraris. 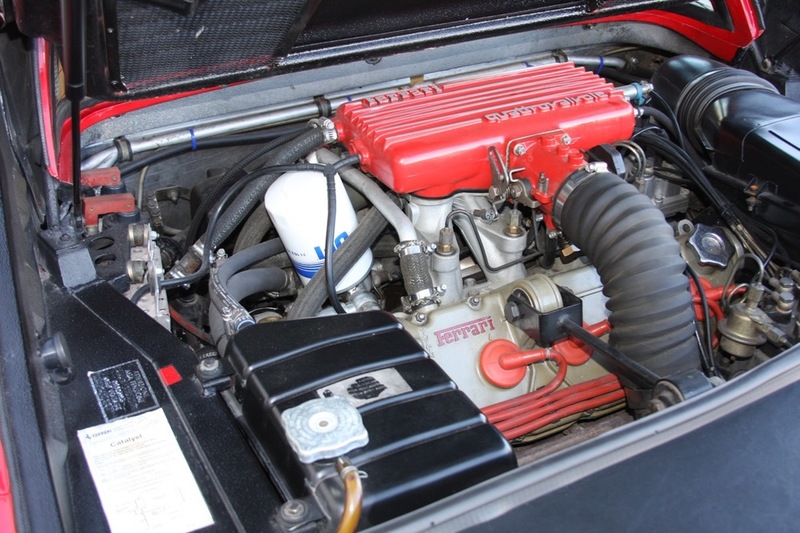 The first 308s used a 2-valve-per-cylinder carbureted engine, which was updated to fuel injection in 1980, and then in 1983 the Quattrovalvole was introduced, with a 4-valve-per-cylinder head, creating the most powerful 308 model. However, the 308 buyer also had another choice to make. In 1978, the GTS body style was introduced, with the lift-off targa-style roof panel, offering an alternative to the fixed-roof GTB body. In period, new 308 buyers, especially in the United States, overwhelmingly chose the GTS, which meant very few GTB cars were imported to the US. 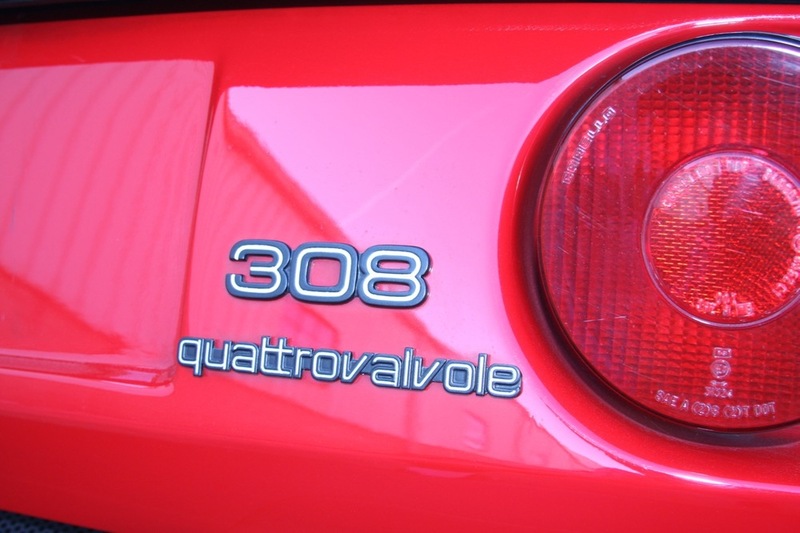 By the time the 308 Quattrovalvole production ended, there were only 56 GTB cars in US-specification ever made, and for 1984, only 14 were produced. Modern drivers and collectors are now coming to appreciate the attributes of the GTB, with its fixed roof providing a more rigid chassis and a cleaner body silhouette, as well as its extreme rarity. This car is one of the 14 1984 308 GTBs produced for the US market. It wears the classic and iconic Ferrari color combination of Rosso Corsa over Beige interior, and is just absolutely stunning to look at. And, this car has a very interesting history. 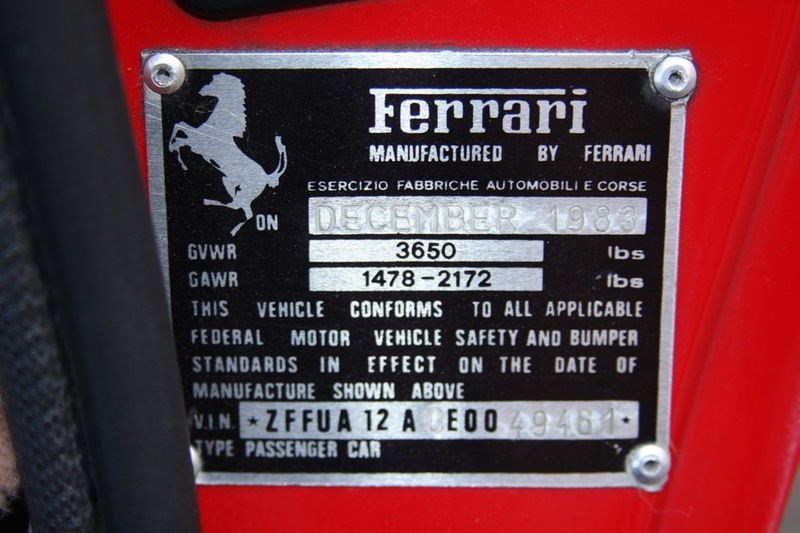 In 2009, a fighter jet pilot based in Las Vegas purchased this 308 GTB, and decided to do a full cosmetic and mechanical restoration on the car to bring it back to "as new" condition. The entire car was repainted, the trim was refurbished, body panels were repaired as necessary, the wheels were refurbished and repainted, and even the side marker lights were removed for a cleaner profile. 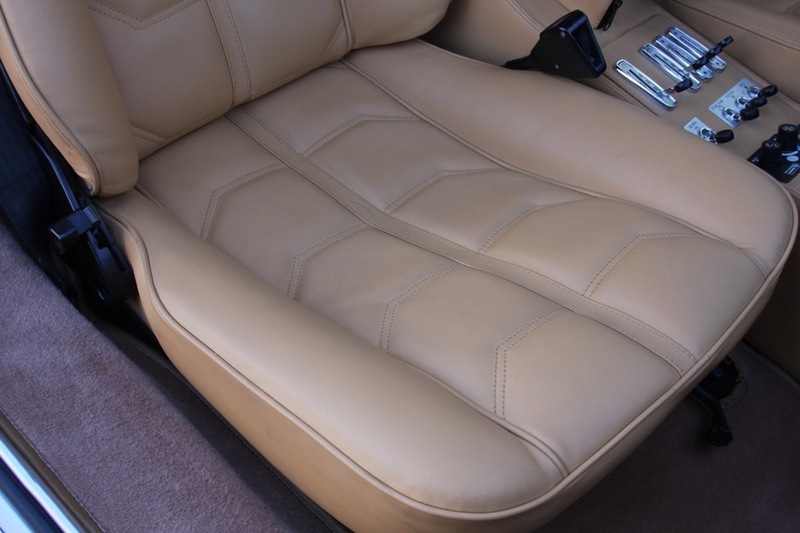 The interior was completely retrimmed in new leather, the carpets were replaced, and switchgear was replaced or refurbished as necessary. Mechanically, almost every system was addressed: the suspension was completely refurbished, the engine was rebuilt, the brake system was replaced; basically, anything that needed to be tended to was addressed. 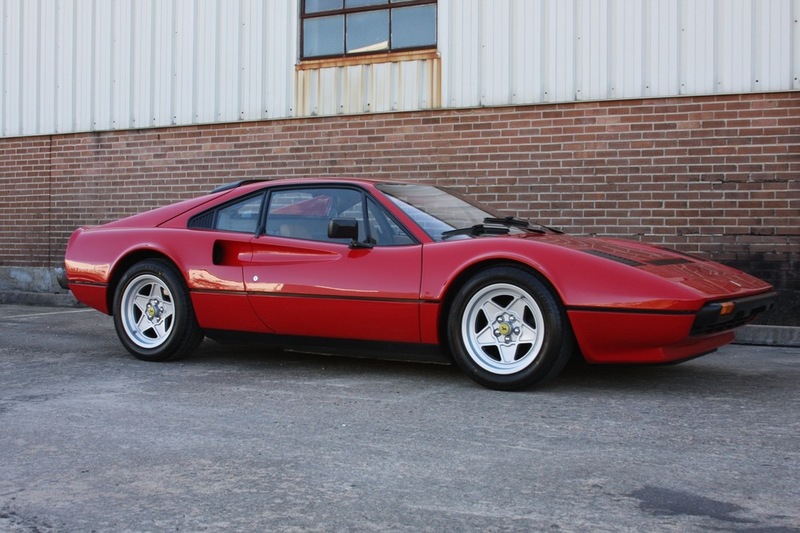 In 2011, the car was sold to another enthusiast in Arizona, who completed the remaining mechanical work, and then in 2013, a well-known Ferrari collector in Colorado acquired the car, recognizing that this rare and fully restored 308 was one of the finest 308 GTB QV cars around. This gentleman made some minor performance modifications to achieve his vision of what a modern 308 should be: he installed a Wilbers suspension and Addco swaybars, and replaced the very heavy stock exhaust with a lightweight Nuvolari exhaust setup. 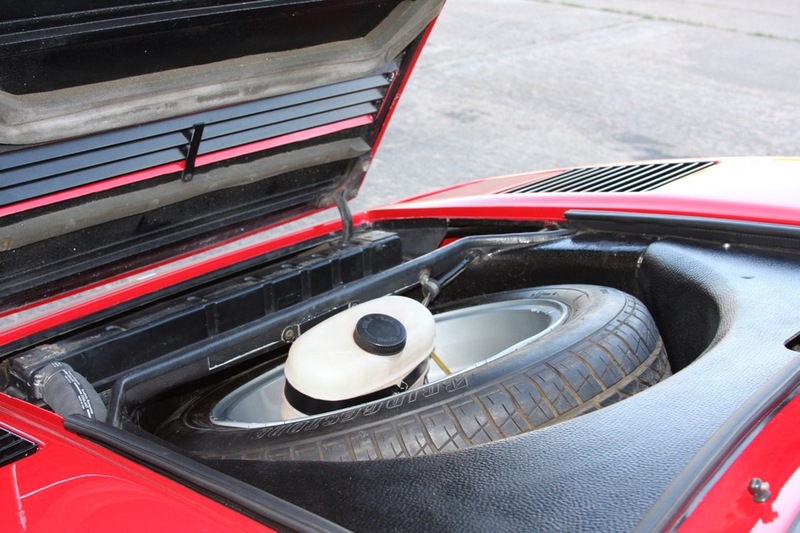 All of the original suspension and exhaust parts are present, however, and will be included in the sale of the car. Finally, when I acquired the car, I had Sphere Motorsports perform an annual service, as well as install new Bridgestone RE760 tires, to bring this 308 fully up to date in its service requirements. 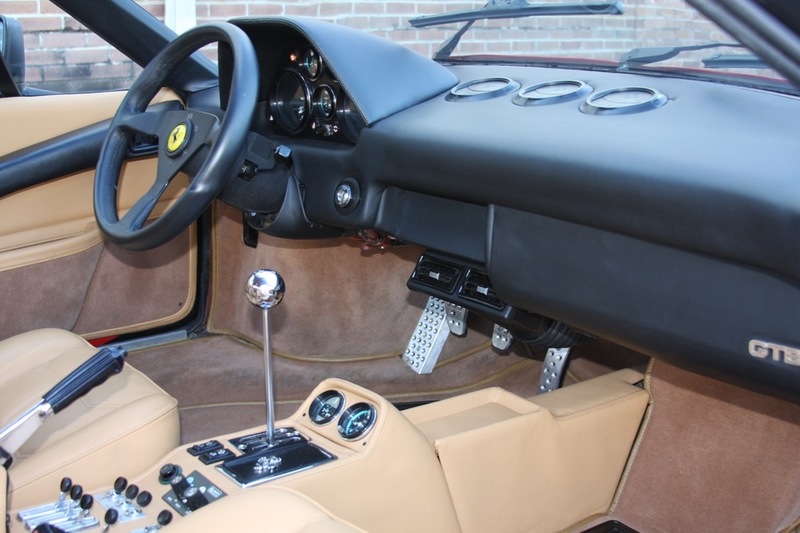 This 308 GTB has been comprehensively refurbished to essentially as-new condition in almost every area. The car looks absolutely stunning, and drives amazingly. The engine is extremely powerful, the exhaust sounds wonderful, and the suspension has a modern sporty feel. 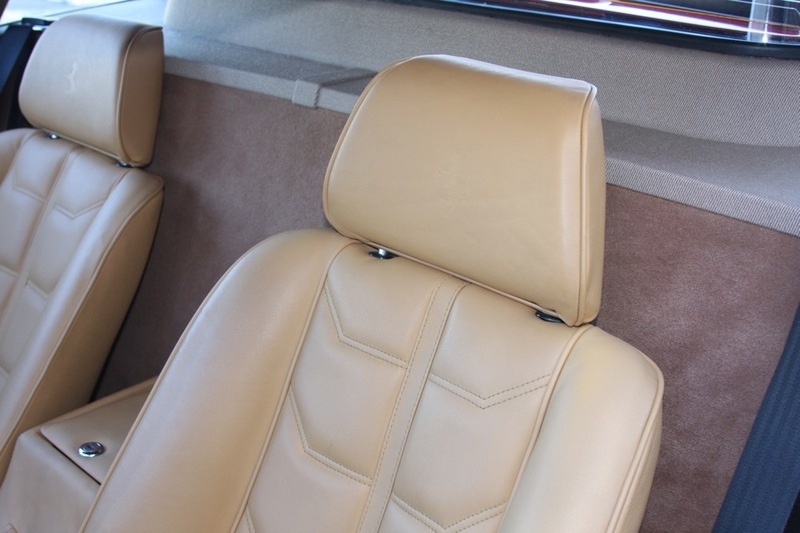 The GTB body style means the car is free of squeaks and rattles. 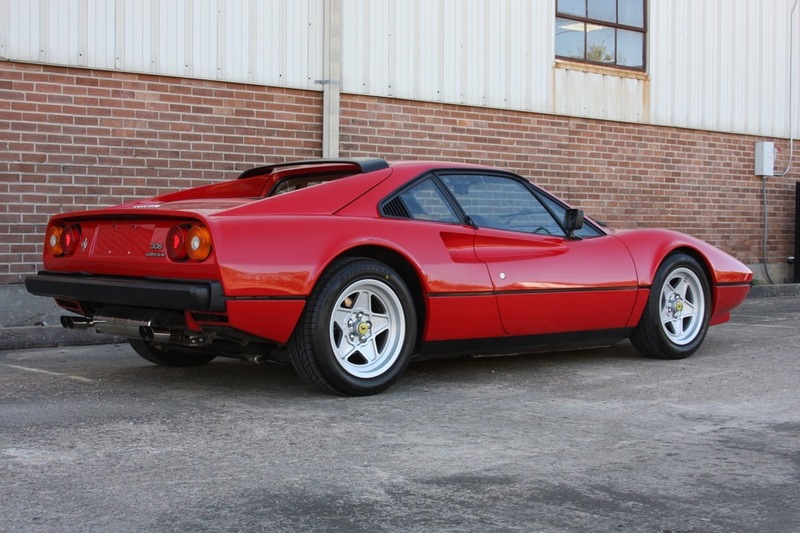 In short, this 308 GTB Quattrovalvole is perfect for the person who wants to enjoy driving their Ferrari, which is what these cars were meant for all along. 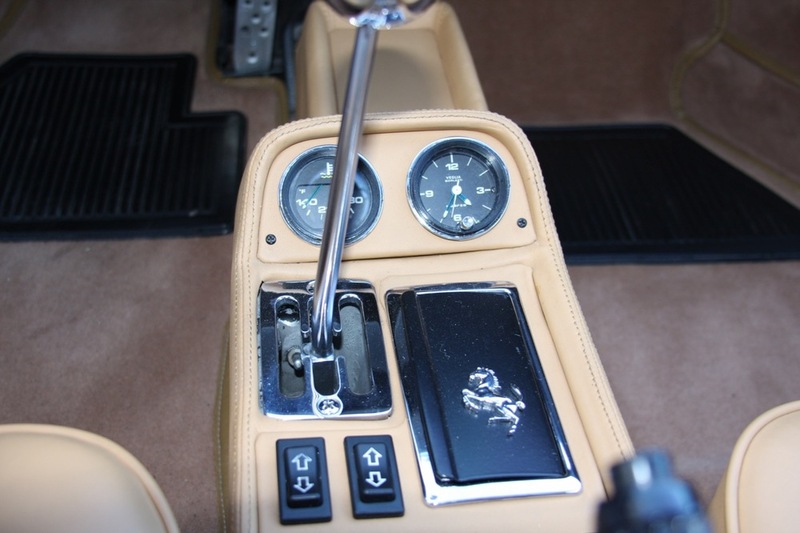 I look forward to speaking with you further about this very special and extremely rare 1984 Ferrari 308 GTB Quattrovalvole. Please contact me at michael@mbrandonmotorcars.com or 832-617-0494.